Democracy seems to have taken a turn into negativity, if the successive votes in the world’s “mother Parliament” in Britain is anything to go by. Those in power in both the UK and the EU are getting exasperated that MPs are not voting for what they want, but voting against what don’t want. 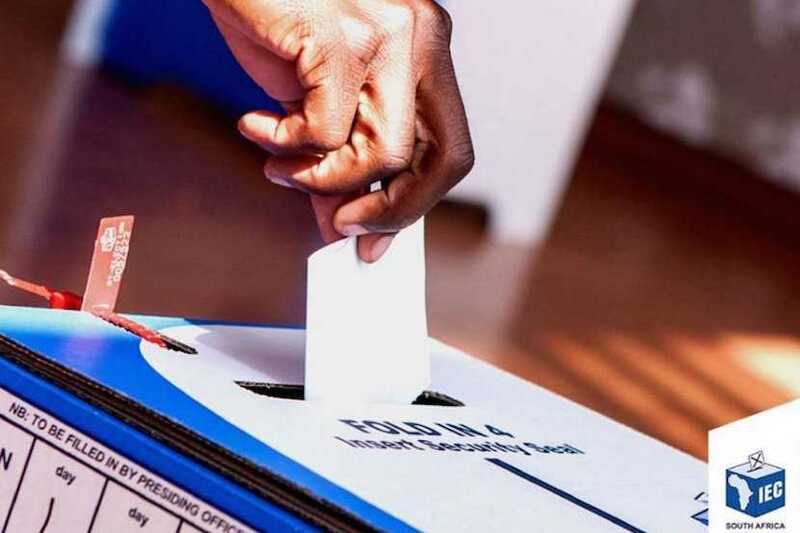 If that were to happen in the next general elections in South Africa, on May 8th, here are some trends that we could expect. Any party that runs even a “mixed” slate of candidates (both clean and implicated) is going to get its wings clipped. Citizens across the board are fed up with “rot”. There is a big disconnect between Voters and Cabinet on this issue. Could it be that Cabinet is worried about more smallanyana skeletons falling out of the closet? Are they hedging their bets, to protect themselves? Voters want a wholesale spring cleaning and no more impunity. The Electorate is watching closely to see what the court’s decision will be on Eskom’s attempt to corner the market on Renewable Energy. It costs more to generate than burning coal, but it is cleaner. But just like in health and education, there are some consumers who will pay more for a more reliable supply than Eskom. Then the higher generation costs can be covered by those consumers ready to pay a premium – which will stop one of the leaks at Eskom. It wants to monopolise the supply side even though it on-sells for less than it buys for. It’s that kind of thinking that created the debacle in the first place. Voters don’t really care whether there is one Eskom or there are three Eskoms. Just keep the lights on! Now Cyclone Idai has hit the Mozambique coast very hard, knocking down pylons that deliver a segment of South Africa’s power from Cahora Bassa dam on the Zambezi River. This unforeseen event has escalated load-shedding from occasional status to regular. It has taken the mask off of Eskom realities. There is more to Democracy that the ANC and the DA. There were some smaller parties right from 1994 like UDM, ACDP and then along came COPE and AGANG to challenge the era of Triumphalism. The EFF has overtaken all of the above as the “third force” but there are now 45 parties. The polls show different counts but essentially a three-way race. But in all the polls, those three parties only share 90% of the vote. A full ten percent could swing to the smaller parties, meaning that they can become disproportionately important – by holding the balance of power. Is it because they are “born frees”? But the Electorate is now up to 27m voters, with over a million who never voted before. That’s 6% first-time voters. Don’t expect them to vote the way their fathers and grandmothers voted. Take for example the new ZACP party. A party of un-apologetic capitalists. Let’s face the trending – the Alt-Right has been rising in different parts of the world and there is a surge of this in South Africa too. It will shrink the ruling party’s market share. In South Africa, none of the three major parties is “right-of-centre”. Furthest to the right, of the three, is the DA which is probably standing on Centre itself, while the ANC is “near Left” and the EFF is “far Left”. There are new parties emerging on both sides of centre like the ZACP on the Right and NUM’s Socialist Workers Party on the Left. But inside the DA, there is a tug-of-war going on, with Maimane moving a bit Left-of-centre. This emphasis is called “social democrat” which is a departure from the DA’s historical identity of “liberal democrat”. But this plays to the gallery. Maimane is astute enough to realise that there is no growth sector over on Centre or Right. For example, in past elections liberal democrats have questioned whether affirmative action is helping or hindering. But that noise is much reduced, because the social democrats know that voters want to keep BEE. (They will vote against dropping it.) So Maimane is moving closer to the centre-of-gravity of the electorate. There is no way that voters will support this debacle. It was a poisoned chalice that is likely to swing the most populous province of all into the hands of the DA. In the 2016 municipal elections, the DA squeaked into mayoral control of both Tshwane (Pretoria) and Joburg (Nelsonburg?). Along with Cape Town which was its beach head, the DA has established a credible track record. That is more that can be said for the EFF, which remained aloof and is running without any track-record anywhere. The Life Esidimeni scandal really hurt the ANC in Gauteng as well. There is certainly a prospect that the DA’s candidate Msimanga will become the new Premier of Gauteng. But it will be more of a vote against e-tolls and lack-lustre governance than anything. Only the EFF at this stage has come out in favour of full decriminalisation of the so-called oldest vocation. Torn in two as it is – by identity crisis – the ANC adopted that sense of direction at Nasrec. But earlier that year at its Policy Conference, it had adopted the via media of Partial Decriminalisation. That is, to prosecute the men who pay and leave the women alone. It would still be illegal but blame the men not the women. This lines up with the struggle against femicide, without abandoning cherished values that remain dear to most religions and traditional cultures. Certainly voters have figured out that the status quo (which the SALRC still wants to keep) clashed with the Bill of Rights in the Constitution. So voters will reject the status quo. On this issue, the DA has not yet declared – another indicator if the internal tug-of-war that it is going through. The economy is not buoyant. What if South Africa gets downgraded to junk status before May 8th? In fact the economy is still shedding jobs, even though the population is exploding. Rising unemployment is the result of these two forces colliding. The Nuclear Deal that we almost got saddled with was an eye-opener. The ANC is more focused on itself than it is on the country. It still has that vanguardism DNA that puts party first and nation second. That has been internalised by voters who want sound fiscal management, good governance, and accountability that has some teeth. The DA keeps saying that it has been advising government to break Eskom’s monopoly for many years. When the Finance Minister asks “Do we need all these SOE’s?”, the Deputy President says that the question makes him laugh. Voters may get the last laugh because everyone can see that you can’t fix a problem by applying the same kind of thinking that caused the problem in the first place! COPE is the party beating this drum, and it is resonating with the Electorate. “Cadre deployment” using party lists is fraught with patronage. And it is proving to keep the old guard in power and keep out the younger contenders. This is not representative when half the Electorate is now under 35 years of age. Voters who see this and remember the repeated No-confidence motions that did not succeed to remove a rogue president, will vote against cadre deployment. Their votes will swing to parties that are ready to implement the recommendations of the Van Zyl/Slabbert Commission. It suggested that half the seats in the National Assembly be filled by cadre deployment, and half by MPs elected straight from geographical “ridings”. So they vote in the best interest of their People, not of their party. When voting gets negative like this, it becomes very hard to predict the outcomes. There is no road map going forward, as there used to be in the good ole days of Binary Democracy. But as Democracy matures, South Africa is coming to terms with the short-comings of vanguardism. It is recognising that liberation movements do not convert easily into political parties. So whatever the outcome proves to be, our country may have a very different “look and feel” after May 8th.